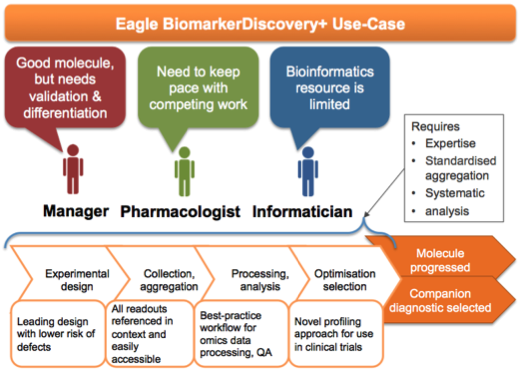 Eagle has a proven history of discovering actionable biomarkers in complex molecular datasets. Our success is based on a flexible, disciplined and collaborative approach that puts the researcher’s scientific priorities first. This is achieved through deep scientific understanding of the problem space and close communication with the customer scientists. Unlike monolithic data analysis “solutions” our approach never takes the researcher out of the loop. Existing datasets (often from collaborators) that require further specialised processing or analysis. Genomic profiling (variation); whole genome/exome sequence processing; calling and annotation of germline, somatic and haplotype variants, genome wide association studies (GWAS). Transcriptomic profiling (expression); digital gene expression (RNA/miRNA by sequencing or array), differential expression analysis, ontology and pathway enrichment. Metagenomic profiling; 16S rRNA, shotgun metagenomics. Proteomics/metabolomics; targeted/untargeted Mass Spectrometry, post-translational modification, tissue/urinary peptidomics. 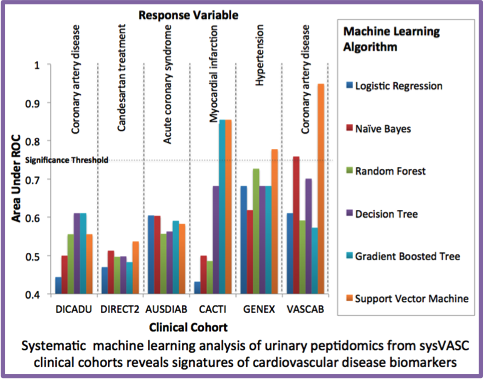 Multi-omics; data integration and machine learning in R and Apache Spark. Whether the aim is to gain insight into a disease model or to uncover mechanism of action of a therapeutic, BiomarkerDiscoveryPlus maximises the chances of success. The benchmark for a biomarker discovery is the selection of an actionable candidate for further development. In early 2016 an NME for autoimmune disease will enter clinical trials. Previously deprioritized, the drug was rescued by a small team including Eagle who worked tirelessly for 18 months to discover a novel multi-omics biomarker for patient stratification. Adoption of the BiomarkerDiscoveryPlus workflows can boost operational efficiency of R&D teams: “Unilever’s digital data program now processes genetic sequences twenty times faster without incurring higher compute costs. 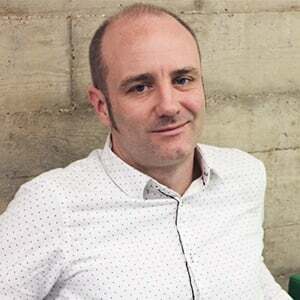 In addition, its robust architecture supports ten times as many scientists, all working simultaneously.” - Pete Keeley, eScience Technical Lead, R&D IT, Unilever.